There’s nothing like the unconditional love between owner and pet. So it’s no wonder that having to leave a pet behind is a huge yet often overlooked barrier to leaving an abuser. In fact, somewhere between 25 and 50 percent of survivors have delayed leaving out of fear for what might happen to a pet, according to psychologist and ASPCA senior vice president Randall Lockwood in a 2014 Associated Press article. 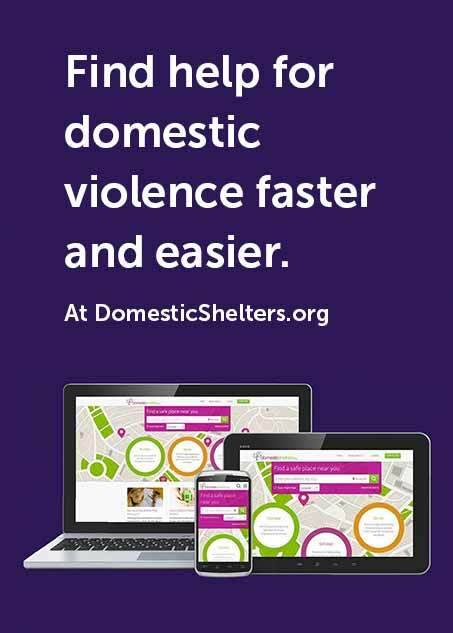 Lockwood further stated that research has shown that about 70 percent of domestic violence survivors report batterers also threatened, injured or killed their pets. Survivors also report pets left behind as a reason for returning to an abuser. “The pets that are normally a source of comfort in families can become targeted, particularly if the abuser sees that as a way to get the power or control they're looking for without inflicting harm directly on the child or spouse,” Lockwood says. Having a pet with a survivor not only alleviates the survivor’s worry regarding the pet’s well-being, but it also offers other healing benefits. Research shows simply interacting with animals raises levels of oxytocin in the human body, according to the Human Animal Bond Research Initiative Foundation. Oxytocin is the feel-good hormone said to lower anxiety and heart rate, and has positive effects on PTSD and depression. In fact, studies show that after just 30 minutes with a dog, a human’s happiness hormones dopamine and endorphins increase and the stress hormone cortisol decreases. Pets also offer companionship and can help combat feelings of loneliness. And they offer a great constant for children, too. Kids thrive on stability, and having their furry sibling with them to comfort them and to take care of can be soothing. Ideally, you’ll find a shelter that will accept your pet along with you. When you search for local shelters on our site, each listing will show whether the program offers pet shelter. Of course, not all shelters have the space or funding to care for pets in addition to people. Read about additional options when it comes to finding a place for pets in No Four-Legged Family Member Left Behind. To learn more about the steps to preparing to leave, read When It’s Time to Go: Part I.